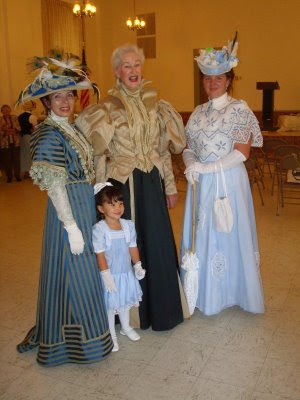 My daughter and I went with my mom, Lady Carolyn, to one of her shows. 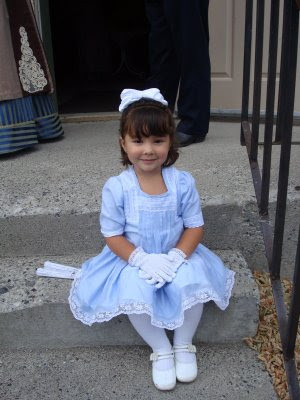 It was held at a renovated church and the ladies served tea and desserts. It was scrumptious. 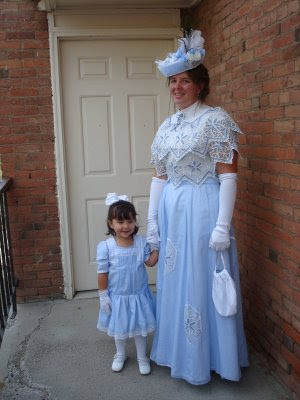 Lady Carolyn performed her 1908 Genteel Disrobe, so Saralyn and I dressed in our 1905 dresses to greet people at the door. Sara, of course, stole the show. 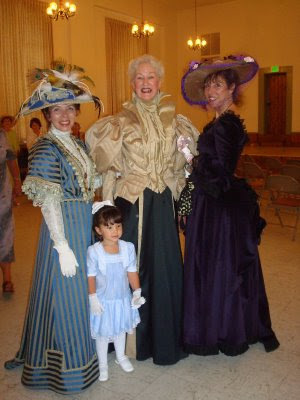 There were a couple of other ladies dressed as well. About 60 people attended and a delightful time was had by all.